Among the very best cheese makers in North America, Woolwich Dairy Inc. is a quality and innovation-driven manufacturer, committed to ensuring an outstanding gastronomic experience for its customers. Our customers are at the centre of what we do at Woolwich. We constantly strive to develop new and innovative products that meet our customer’s needs. Without a doubt the most important measure of our success is the satisfaction of our customers. Woolwich Dairy offers more than 50 varieties of cheese products from its 3 manufacturing facilities. More than 150 committed Woolwich employees work diligently to produce the highest quality cheese. Vanessa Kreuzer and Terry Doel have been friends for over 25 years. They have collaborated on hundreds of culinary and decor projects. In 2013 they decided to start their own venture, and are truly excited to join forces and offer a great culinary experience as Lavender Blue Catering. When Vanessa was a young girl she would help out at the family restaurant and imagine herself one day in the same industry. She holds diplomas in both Horticultural Design and Floral Design, and is known for her magic touch with interior and exterior decor, and event management. Vanessa enjoyed a design career at Glen Echo Nurseries for 10 years before the birth of her son, and has since worked closely with Terry in the catering industry. She resides in Shelburne, Ontario. Combining her passions for food and sustainability, Jennifer Clark developed her Dry Soup Medleys with the aim of creating healthy, delicious, natural foods that were also suitable for many people’s busy lifestyles. 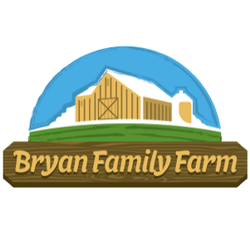 Bryan Family Farm is an ecological farm located in the Hills of Headwaters region and serving the the surrounding regions of Shelburne, Orangeville and Grand Valley as well as the Greater Toronto Area. You can find us at the Orangeville Farmer's Market and the Rosemont Farmers' Market selling all cuts of pasture raised pork. Bryan Family Farm specializes in premium quality local, antibiotic and GMO free pork that is both healthy for you and for the environment and that strengthens our community's roots by connecting you directly with your farmer and farm . Bryan Family Farm raises pork year round. All of our animals are raised on pasture and are fed a diet that is free from GMOs and antibiotics. Pommies Cider is crafted from the juice of 100% Ontario apples and pears at our cidery in Caledon. Our offerings include Pommies Dry, Pommies Farmhouse and Pommies Perry. All ciders are gluten free, GMO free, contain no artificial flavours or colours and are NEVER made from concentrate. 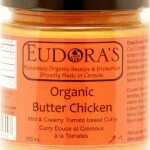 Using fresh and local ingredients whenever possible, the cooks at Eudora’s Fine Foods make small batches by hand using no artificial preservatives, colours or flavours to bring you the finest ethnic food sauces ready-to-eat. Our line of Indian Curry Sauces all start with freshly ground spices for authentic, aromatic masala. Each traditional masala blend is different and is slow simmered with a blend of fresh vegetables and herbs to give each curry its own distinct flavour. Juicy red tomatoes, caramelized onions, aromatic cilantro, real Canadian cream, fresh garlic and ginger are just a few of the ingredients that we use to make our sauces. Try some today, and add a little taste of India to your everyday routine. Making food taste better Taste the 4th Sense, offers a unique selection of Infused Grape Seed Oils, Specialty Vinegars, Hot Sauces, BBQ Sauces, Mustards, Rubs, and Condiments. A truly interactive gourmet food shopping experience as our store is packed with international flair, flavor and passion, providing our customers with an un-matched shopping experience where sampling is encouraged and tasting is believing. Coming soon locally made Ghost Pepper Chocolate truffles, and other interesting chocolate items. "Taste" is constantly on the lookout for unique all natural locally made products including hot sauces, so if you have a favourite that we do not carry, just let us know and we will be happy to consider adding it to our selection. To enjoy the "Taste" experience you don't have to be a culinary expert, we provide advice and offer helpful tips for preparing flavorful dishes using the products we sell. We are a small farm located on leased land in the town of Caledon, Ontario, just 10 minutes south of Orangeville and northeast of Alton. We grow vegetables using sustainable, organic farming practices, and raise chickens and pigs on pasture. It is our belief that everyone should have access to fresh, nutritious, locally-grown food, and we want to play our part in our local community by providing this. We are passionate about revitalizing the mixed family farm, protecting the environment for future generations, and rebuilding the connection between farmers and communities. Selene Richens established Levendale Farms in 2012 after graduating from the University of Guelph Agriculture program. With the help of her sister (Candra) she works hard to provide the local area with fresh, good quality, chemical-free food. Levendale’s produce can be found at both the Orangeville and Shelburne farmers markets, but also through weekly CSA drop offs in Mount Forest, Arthur, Orangeville, and Shelburne. WHEN YOU START SOMETHING CAUSE YOU WANT TO GET RICH, YOU MISS OUT ON DOING WHAT YOU LOVE.Every time you raise a Hockley, you are drinking the beer that fate conspired – and failed – to deny you. But, when you’re passionate about something, you tend to just smash through the roadblocks. The Hockley mindset is about doing things as you wish they were done, pushing stubbornly through setbacks to maintain a culture worthy of the audience loyal to the beer and the philosophy that drives the brand. Welcome to Leitch's Honey!Leitch's Honey provides three streams of apiculture service: pollination services for agricultural, natural and garden plant growers; honey and derived products for retail and wholesale markets; and educational services through mentoring and public interaction. Apiculture itself is a vital part of agriculture and through the promotion of healthy hives comes healthy plants, crops and in turn, healthy people. Through education at every opportunity, both to farmers and retail customers and especially at Farmers' Markets, I enjoy taking the time to explain the role of bees in our environment, through essential pollination for seed production in agriculture and natural environments to the innate health benefits of honey and other bee products.